I did the Gastric Bypass. I am off all medication except the pill that slows my heart down for Afib. Today, a year and 1 month later, I am down to my goal weight which flucuates between 135-140. My BMI is 22.6 and I am so much healthier than I have been in many, many years. 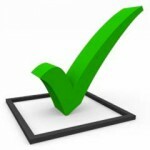 I look and feel fantastic, and have to thank everyone, from the folks at BeLiteWeight to the surgeon's office for helping me to achieve this goal." Gastric bypass surgery makes the stomach smaller and allows food to bypass part of the small intestine. You will feel full more quickly than when your stomach was its original size, which reduces the amount of food you eat and thus the calories consumed. Bypassing part of the intestine also results in fewer calories being absorbed. This leads to weight loss. 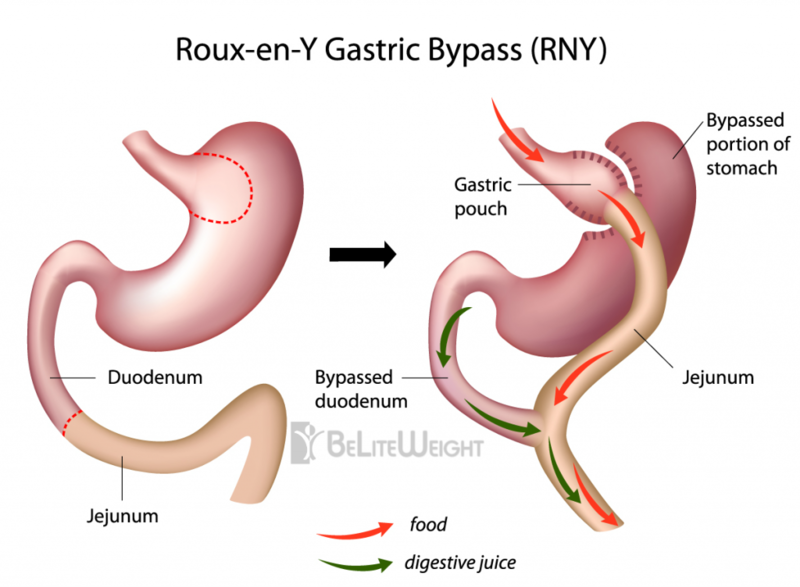 The most common gastric bypass surgery is a Roux-en-Y gastric bypass. In normal digestion, food passes through the stomach and enters the small intestine, where most of the nutrients and calories are absorbed. It then passes into the large intestine (colon), and the remaining waste is eventually excreted. In a Roux-en-Y gastric bypass, the stomach is made smaller by creating a small pouch at the top of the stomach using surgical staples or a plastic band. The smaller stomach is connected directly to the middle portion of the small intestine (jejunum), bypassing the rest of the stomach and the upper portion of the small intestine (duodenum). This procedure can be done by making a large incision in the abdomen (an open procedure) or by making a small incision and using small instruments and a camera to guide the surgery (laparoscopic approach).